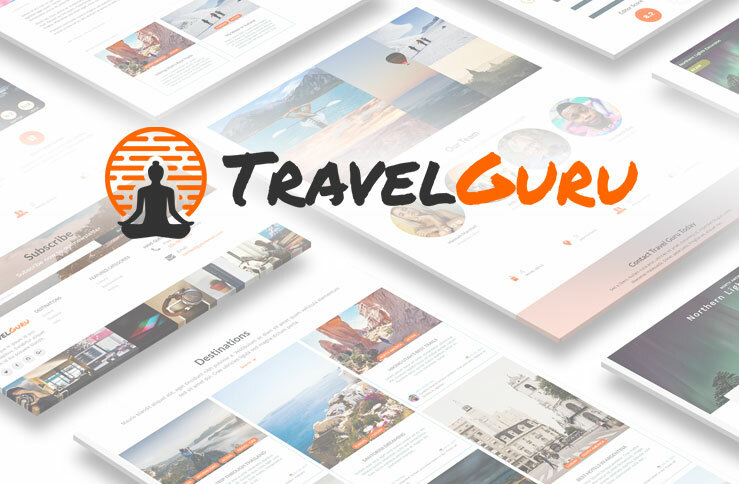 Travel Guru is a stylish variation of our new Template 2.0 Blog Theme. Includes all the incredible features from the Gadgets & Gear template + even more! USER SUBMITTED REVIEWS: Visitors can create a personal profile and post their reviews all through the front-end. Easily managed by the admin through the "Reviews By Users" & "User Profile" Web Apps. 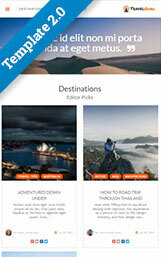 RATING SYSTEM: Editor and User rating are available for each travel deal. Users submit ratings which are aggregated and updated in real-time, visible in the detail and list views of the "Travel Deal" Web App. ADVANCED FAQ MODULE:BC Academe provides us with an Advanced FAQ's Module that includes categorized lists, and a dynamic sticky anchor navigation to get to each section. BOOK DEALS:Quick-access Booking Form on the Travel Deal pages help encourage potential purchasers to engage in the sales process by easily changing the quantity to see the total amount before booking tour. SOCIAL SHARING: Increase social engagement with the included AddThis plugin, where you can manage 100's of different social icons and personalize them for individual visitors. 11 Photoshop files, fonts, logo and the stock images are included in the Resources folder. The Hero Slider, User Reviews, Company Info and Authors sections are all web app driven, making it easy for you and your client to quickly add and update content.